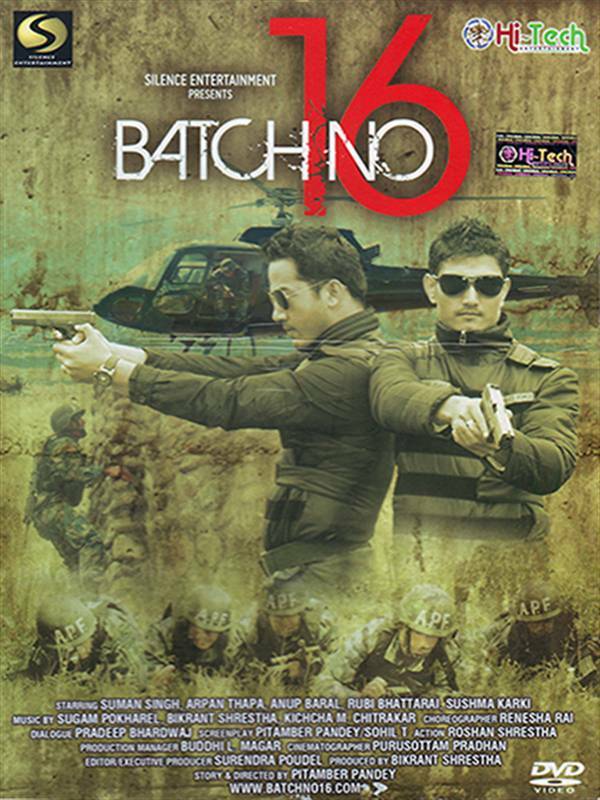 SILENCE ENTERTAINMENT PRESENTS "BATCH NO 16"
DVD Authored by : HI-TECH ENTERTAIMENT (P) LTD.
Batch No.16 is a story of two great friends, almost brothers, who come to crossroads in their life, when a choice between duty and greed enters the equation. Ram and Guru are highly placed Arm Police Officers who have proved themselves time and again of being trustworthy and capable. When an important mission comes up, where the prospect of earning a quick buck is too lucrative to pass up, Guru decides to forgo the mission and get his hands on a large sum of money. Ram trying to stop his friend from making a big mistake escapes with the money, only to have the police think he's the one who's betrayed his country. As Ram struggles to prove his innocence and protect his family, Guru is hot on Ram's trail trying to claim what he thinks is rightfully his.